UPGRADE TO IMMORTAL & GET UNLIMITED ACCESS TO ALL OUR EXCLUSIVE CONTENT! "MMR is just a number, but true skill isn’t. From my work in Dota 2 Navigation, I know about the passion these guys have for Dota and how it translates to this project. Instead of getting stuck in your current rank, give DotaHaven a chance and start your journey of becoming a better player!" Don’t spend hours and hours searching for what turns out to be sub-par content by amateurs! By upgrading your account, you will gain instant access to high-quality content by the best players in the world! We keep our content up to date with the newest patches. We also make regular meta and patch analyses with top level players so that you can stay ahead of the curve. We track your stats and improvement with every hero you play and we give you instant advice. More importantly, we recommend the best content for you to keep growing as a player! Qojqva is one of the very few old-school core players who have been able to consistently stay at the top of the game and to maintain their tremendously high mechanical skill. He has competed on legendary teams like MYM, mousesports, Team Liquid, Team Tinker, Escape, NiP, and Alliance. 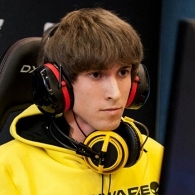 bOne7 is a professional Dota 2 player playing primarily in the offlane position. He rose to fame by being part of the legendary C9 lineup that made the most 2nd place tournament runs in premier events in the history of Dota. A TI veteran, bOne7 is without a doubt one of the most creative players out there and a great guy to learn from. Nikola rose to fame after reaching 8k MMR and finishing first in an FPL season - a very impressive feat for a support player that proves his extremely high mechanical skill and understanding of the game. Later on, he found success in various pro teams, including DD, EPG, and Na'Vi, which we are certain is just the beginning of an impressive esports career.